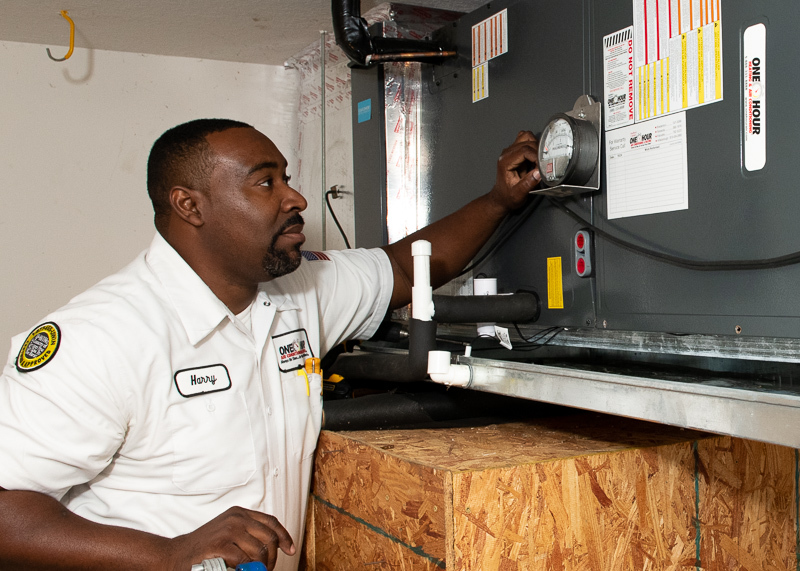 We arrive on time and get your home cool again, quickly. and always on time, guaranteed: If we don’t arrive within our one hour appointment window, you don’t pay a dime for our service. That’s just how we roll. 1. I’d like to schedule an air conditioning repair (response within 24 hours). Simply call us now, or schedule your appointment online. After you set up your appointment, here’s what’ll happen next. *And we give you our On Time Guarantee: if our talented technician does not arrive at your door within your scheduled one-hour appointment window, your repair will be FREE. Because we’re always “on time, or you don’t pay a dime” for our service! That’s just how we roll. 2. I need air conditioning help right NOW. Our 24/7 Emergency Service is standing by! Just call or schedule online for help now. 3. I’d like to try to troubleshoot the problem myself, right now. My brother and I are proud of the air conditioning repairs and maintenance (and air conditioning installations!) we’re able to offer thanks to our incredible Team of Bros Heroes. We feel blessed to have such a first-class team to work with. We believe you’ll feel that way, too. NOTE: our BroTECTION Plan Members get life-extending, bill-reducing heating AND air conditioning maintenance each year for just $17.99/mo! But that’s just the beginning… It pays to join The Club.